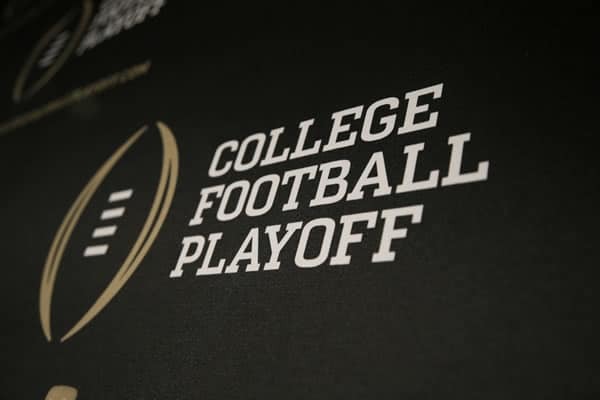 Who would’ve expected CFP semi-final matchups of Clemson v. Auburn and Oklahoma v. Wisconsin. Outside of Clemson? This is a matchup of teams fans usually want to see, but are always overlooked by the Selection Committee. Now, given how things played out this Thanksgiving, this is the projected playoff picture. That could change with conference championship weekend on the horizon, but things are getting interested. If you are into betting, you should start making your picks now. You can bet with several USA sportsbook sites. With Miami choking against unranked Pittsburgh and Wisconsin blowing out Minnesota 31-0, the Badgers received the red-carpet treatment into the top 4. Wisconsin is the only undefeated team left in the rankings, and they have shown they deserve to be there. Alabama tanking against Auburn also helped the Badgers get in, along with Auburn sliding into the #4 spot. Both of these teams have big tasks ahead of them in their respective conference championships. Wisconsin will be playing Ohio State, a team desperate to get into the CFP, especially with senior QB J.T. Barrett set to move on after this season is over. Ohio State’s only way into the Playoffs is through Wisconsin, so the winner of this game will surely be in. Meanwhile, Auburn is set to rematch Georgia for the SEC Championship. Georgia is currently at #6, so a decisive win against Auburn would likely move them up to #4. Georgia had a taste of the good life early on in the season as the #1 team, but were knocked off by Auburn. If Auburn wants to continue their dominant streak, they’ll have to hold off the Bulldogs. Clemson handled USC in strong fashion, beating them 34-10. While the Tigers lost to Syracuse early on in the year, the defending champions have since steadied the ship and found their rhythm. They are set to face Miami in the ACC Championship. Miami is hoping to avenge their loss against Pittsburgh and beating Clemson is their only way back into National Championship contention. The Tigers are #1 for a reason, however, so don’t expect them to give up easily. Oklahoma has been the most effective team throughout the season. QB Baker Mayfield, despite his sideline antics, has made a strong case for the Heisman. They destroyed West Virginia 59-31 and only have TCU left in their way. TCU is a strong team, but it is unclear whether they have enough to stop Oklahoma. If you look at the entire betting landscape, things have definitely changed a bit. Alabama was favored to win it all at the beginning of the season. With them out, things are looking even for the remaining teams. This is what makes college football so exciting. US gambling laws permit the use of online sportsbooks if they are licensed and regulated offshore.